Tax season is upon us, and however much you dread completing your return this year, there's always solace to be had in the potential of a sweet reward: the refund. The average tax refund in 2011 was over $2,900, according to CNNMoney. Receiving such a large check typically feels like free money, and the desire to spend it on a big-screen TV or perhaps a plane ticket to Vegas is often difficult to overcome. However, there's nothing "free" about your refund--it's still you're hard-earned money! To avoid wasting the potentially lucrative lump sum, consider these eight tips for spending your tax refund wisely. If you consistently receive a large refund, it's a sign that you're withholding too much from your paycheck.The money you get in one lump sum every April could be saved, invested or used to pay down debt throughout the year, so update your W4 and strive to "break even" with the IRS. Use the IRS Withholding Calculator to help you determine how much to withhold. Paying down existing debt like student loans or credit card balances may not seem like much fun now, but doing so will lead you to guilt-free fun in the future. In addition to improving your credit score, you'll have more money each month once minimum payments are behind you instead of throwing away money on interest rates. Now is the time to tackle those home improvement projects you've been putting off. Such improvements will ultimately lead to an increase in your home's value so it's a wiser investment. Extend the value of your refund by purchasing discount gift cards to Home Depot from sites like GiftCardGranny.com, where you can save an average of 15 percent instantly. Remember, what goes around comes around. That's why I recommend donating part or all of your tax refund. It is actually a tax write-off, so you can deduct your donation for next year's taxes. Find a list of eligible organizations within the IRS Publication 78 and be sure to itemize your deductions. Roth IRAs are all the rage these days, and for good reason. In addition to being more flexible than other retirement plans relative to investments, Roth IRAs grant tax breaks when money is withdrawn during retirement and won't penalize you for withdrawing early either. Not convinced? Read this article from Kiplinger on why it's a smart investment plan. Whether you brush up on your networking skills or learn the basics of social media, continuing education is the key to better job prospects. Look for courses at your community college or find out when and where the next regional conference in your industry is happening. If the contents of your savings account is comparable to that of your childhood piggy bank, consider using your refund to raise it to a more adult-worthy level. Travel snafus, car accidents and medical emergencies are inherently unpredictable, and having the peace of mind to pay for the unexpected expense during such stressful situations is priceless. For more information, check out "Why You Absolutely Need an Emergency Fund" from Investopedia. If you've been saving up for a big purchase or simply looking to use the tax return to supplement your income in the short term, consider how to stretch those dollars. Purchase discount gift cards for various stores to reduce everyday costs and use coupons to trim expenses whenever possible. 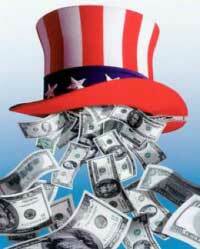 One Response to Top 8 Tips for Spending Your Tax Refund Wisely ~ Make That Cash from Uncle Sam Go Far! 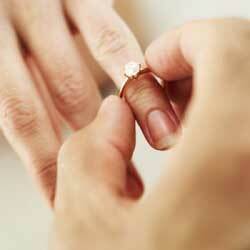 Top 10 Money-Saving Tips for Newly Engaged Couples ~ How to Bankroll for the Big Day!